Let your slow cooker do all the work. 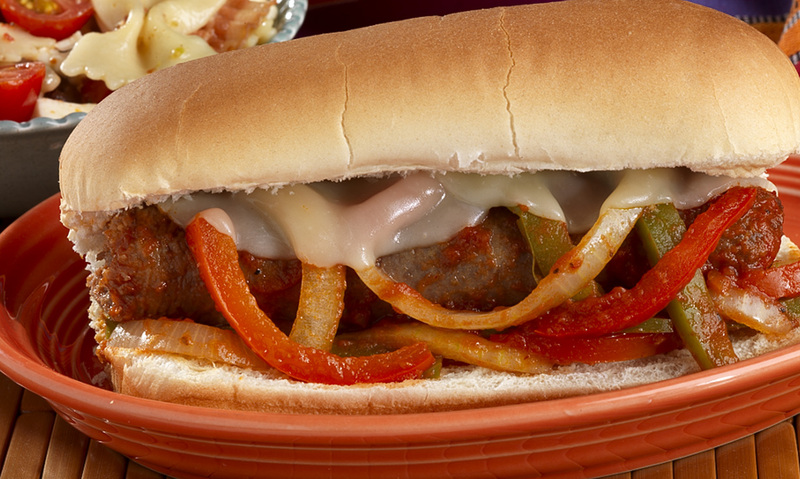 Italian sausage, onions and peppers come together in this hearty sub recipe that’ll have the family asking for more! In nonstick skillet over medium heat, cook sausage until brown. Place in slow cooker. Top with pasta sauce. Cover and cook on low 4 to 6 hours, until sausage is fully cooked. Place sausage in buns; top with peppers, onions, pasta sauce and cheese. 1 In nonstick skillet over medium heat, cook sausage until brown. Place in slow cooker. 2 Add peppers and onion. 3 Top with pasta sauce. Cover and cook on low 4 to 6 hours, until sausage is fully cooked. 4 Place sausage in buns; top with peppers, onions, pasta sauce and cheese.